New Yorkers won’t miss Indian Point once it closes in 2021. 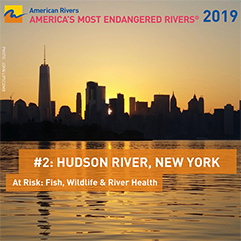 They certainly won’t miss the danger that this aging nuclear power plant poses to them, nor the damage it does to the Hudson River — killing more than a billion fish eggs and larvae each year through its cooling systems. Now I’m happy to report that New Yorkers won’t miss the energy that Indian Point produces; it will be replaced with new energy savings and clean, renewable power. A new study, commissioned by Riverkeeper and the Natural Resources Defense Council, puts to rest any lingering doubts over replacement power and shows that the closure of the Indian Point nuclear power plant can be done clean and green, without big increases in electric bills. The report, by Synapse Energy Economics — a renowned energy research and consulting firm — shows that electricity from Indian Point can be replaced largely with increased energy savings and renewable energy sources coupled with transmission and other replacement projects already well underway. That the transition to clean energy can be achieved at a reasonable cost with no additional climate-warming pollution by scaling up renewable energy under New York State’s “50% by 2030” Clean Energy Standard and adopting policies to increase levels of energy-saving investments in the state’s buildings. Indian Point is able to generate just over 2,000 megawatts of electricity, or about 10 percent of peak summer demand in the New York metropolitan area. The report examined six different energy replacement scenarios, and showed that this energy can be made up in a variety of ways, through investments in energy efficiency and renewable power sources with no impact to the reliability of the region’s energy supply. One scenario, for example, shows that about 1,000 megawatts of that power – 50 percent of Indian Point’s capacity – can be replaced by the hydropower and wind power supplied through the Champlain Hudson Power Express (CHPE), a high-voltage direct current submerged power cable extending from Quebec to Queens. This project has all its approvals and could be online before Indian Point closes. 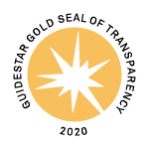 In this scenario, the rest of the power will be made up by targeted energy savings projects, and a slew of renewable energy sources — including offshore and onshore wind farms and solar panels — that will be in place by 2021. 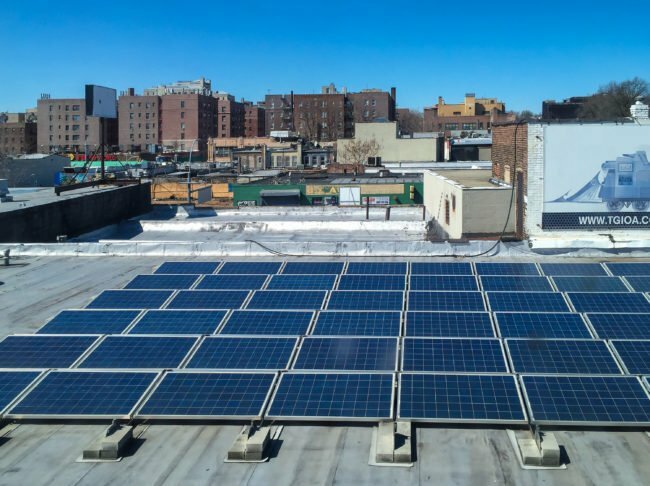 The Synapse report finds that demand for centralized power will drop in New York with the rise of localized renewable energy and stepped-up energy efficiency. This will, in turn, reduce reliance on fossil-fuel energy sources, such as coal, natural gas. If we ramp up energy efficiency and renewables such as solar, hydro or wind, there would be no need for additional fossil fuels to replace Indian Point. If we increase energy efficiency and ramp up renewables, through projects like CHPE, we can close Indian Point without additional carbon-based fuel and retire another 1,200 MW of fossil fuel-based electricity, as well. And sometime between now and 2030, renewable energy sources will become the prominent supplier of power for New Yorkers. Just in the last five years, solar power in New York has increased by an incredible 800 percent. Moreover, energy efficiency advances alone by 2030 could produce the equivalent of double Indian Point’s output! What’s more, the report shows that the transition to clean energy would have a small impact on wholesale energy costs. Going forward, new efficiency and renewable energy projects will continue to drive down these costs. Neighboring states such as Massachusetts and Rhode Island, through year-by-year decreases in electricity use, have demonstrated that New York has ample room to grow its energy savings. January’s news was big: Riverkeeper, New York State and Entergy struck a deal close Indian Point within four years. By 2021, we no longer have to live under the specter that this aging nuclear power plant — with its many operational, safety and environmental problems — might suffer a catastrophic failure. It was a big win for the safety of our communities, a win for the life in the Hudson River. Today’s news is equally big: when Indian Point closes in 2021, if we take the reasonable steps laid out in Riverkeeper and NRDC’s latest study, New York will rely on safe, clean and affordable power, instead of the increasingly dangerous, frighteningly outdated nuclear reactors at Indian Point.